Hi Friends! A couple of weeks ago, I shared on Instagram stories that I was on my way to a skincare treatment with Toska from Toska European Spa. Toska is a celebrity skincare specialist based in Charlotte, and she is a goddess when it comes to taking care of your skin and preventing further damage from misuse of products and exposure to environmental factors that can damage your skin. She’s treated several a-list celebrities with facials and other skincare treatments including Jennifer Anniston and Busy Phillips! I feel so blessed that she’s locally based and I can take advantage of her amazing services. 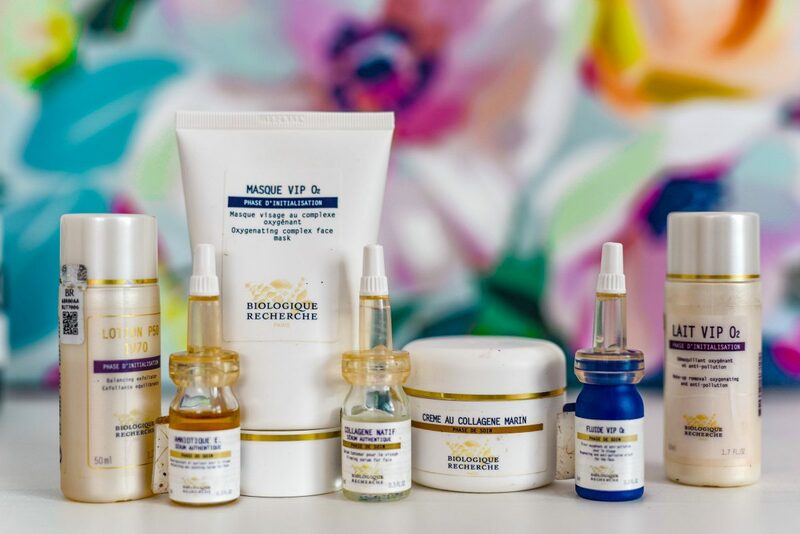 Toska recently performed a facial treatment on me and afterwards she recommended some amazinggg skincare products from skincare line Biologique Rechere that I’ve fallen in love with. I promised I’d do a treatment and product review for you guys, so I’m excited to share with you my thoughts. I also made sure to take before and afters of my skin, so you’d could see a the impact she and the products have made in my skin. When I first walked into Toska European Spa, I was greeted by the front desk associate who performed skin tests using ‘skin instant lab,’ which uses probes to take a snapshot of the status of my skin. They tested for elasticity, sun damage, collagen, pigmentation and overall health of the skin. I loved this approach because it told me that Toska treats the skin as a whole rather than focusing on the surface alone. In using this approach she can prevent future skin complications that would begin deep within the skin. I had never had anyone approach a facial in this way, and it really impressed me. The facial I received at Toska European Spa was far different than any other facial I’ve ever received in the past. It felt much more technologically advanced. As I mentioned earlier, Toska’s services go beyond treating the surface of the skin, and instead looks beyond it to reverse the aging and sun damage process. The facial I received was called the supreme oxylight, and during the facial Toska used a machine to perform LED light therapy on my skin. Each color targets a different skin problem such as building collagen or treating acne. Following the facial, it was immediately noticeable how much more moisturized my skin was. I loved the dewy complexion that resulted from the facial and my skin to touch felt a lot more malleable. One of the goals during the facial was to improve the elasticity of my skin, which is one of the skin factors that had fallen short during the instant skin tests. Toska taught me how best to apply products with my fingers that would also assist with improving elasticity. Tricks of the trade I had never been told before. 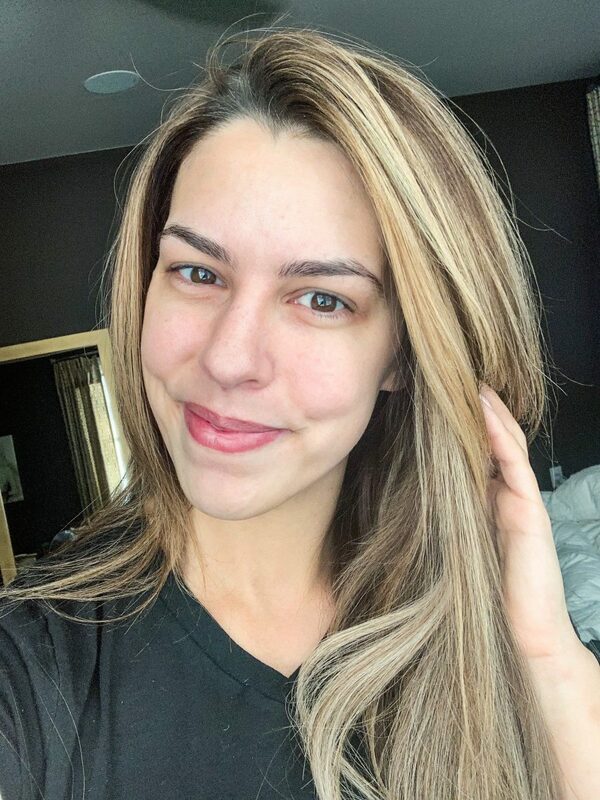 Overall, I was very impressed with the facial services Toska provided, but I’ve been even more impressed with the changes in my skin over time as a result of the service and skincare products she recommended. Keep reading to hear more about the products I’ve been implementing into my routine. Lait VIP O2 – this product is a milky cleanser that is used to remove makeup and it brightens and calms the skin prior to additional product application. It feels very gentle and does a great job at removing excess oil and makeup on my skin. I use this as my regular cleanser in the morning and at night. Lotion P50 “1970 Original” – this is hands down my favorite product of the ones Toska recommended. It serves as a toner, and is essentially a gentle daily peel that helps exfoliate the surface of your skin. It’s a specially formulated product by Biologique Rechere that has been in product since it’s original date in 1970. I love it because I can feel a gentle tingling when using this product, which tells me that it’s working. I think this is the key product that has been tightening my pores and preventing breakouts. In the beginning I recommend applying it with cotton pads and diluting the pads over time until your skin gets used to the product. I use it morning and night. Masque VIP O2 – This mask is a soothing face mask that helps calm and refresh and brighten your skin. It restores radiance and leaves a soft glow after washing it off and I use this product 1-2 times per week as needed. Collagne Natif Serum – This is the serum I use that is definitely causing the most noticeable change in my skin. Collagen is great for tightening the skin and decreasing the size of dilated pores, which is exactly what it is doing to my skin. It helps improve the elasticity and overall firm my skin. I use this serum in the morning and at night. Amniotique E. Serum – This is a quintessential serum that is used to revitalize dry, dehydrated skin. I told Toska that I felt I had combination skin with dryer areas in my cheeks and oily areas in my t-zone. This is used to help balance the skin and restore moisture in dry areas. I use this serum in the morning and night prior to putting on my moisturizer. Creme Au Collagne Marin – This product is a moisturizer that helps tone and improve the elasticity of my skin, which was the focus of my treatment with Toska. It’s a tacky moisturizer that absorbs great into the skin so you don’t feel the result of an oily moisturizer. I use this in the morning and night after applying my quintessential serums above. Fluide VIP O2 – This is a finishing serum known as an anti-pollutant. It helps protect the skin from the environment so it can perform it’s natural functions the skin is meant to do. This is the final step of my skin routine and leaves my skin smooth while brightening my complexion. After reading the products above, I’m sure you’re thinking, “wow that’s a lot of steps that I’m no so sure I have time for in my daily routine.” I thought the same thing, too, but it’s funny how after a couple of days the steps get quicker and truly does become a part of your normal routine. I can complete these steps in about 3 minutes and love how my skin has improved overtime. These products have been huge game changers in my skin. Another thing I wanted to mention about this skincare line is that you’ll find none of the products smell that ‘great.’ That is because these products do not use artificial scents and preservatives in their products. They’re true organic products that come from the earth. For instance, the creme au collagne marin moisturizer smells like a marine substance, lol, and that’s because it is marine byproducts in it. That’s not to say that the products smell bad, though. Drew makes comments that it smells a little bit like play-do, ha! I don’t mind it and it actually makes me feel better knowing that there aren’t any additives in their products and that I’m put real ingredients on my skin. Overall, I was so happy with my experience at Toska European Spa and can’t wait to see the continued changes in my skin. I’m in a place of life where I’m realizing how important it is to take care of your skin, and how much I’m tired or wearing makeup to coverup the insecurities of my skin. I know my 40-year old self with thank me in the future, and I’m so happy that I found Toska. 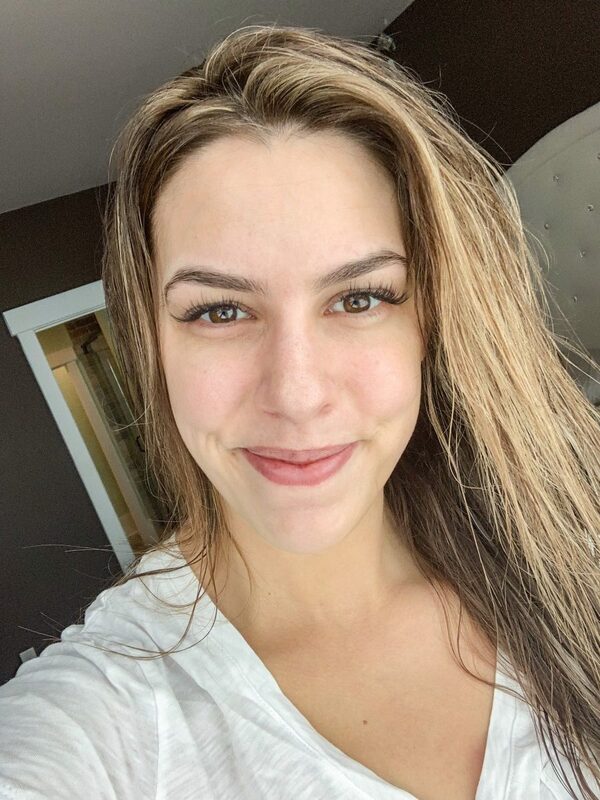 See the first photo below for a before of my skin prior to visiting Toska European Spa for my spa treatment. The second photo below is a photo of my skin TODAY prior to sharing this post. You can notice a huge improvement in the unified complexion and color of my skin as well as a less acne problem areas and a minimized appearance to my pores. Also – my under eyes are less swollen and dark due to more balanced tones in my skin. I can’t wait to continue to see changes in my skin over time. A special thanks for Toska European Spa for providing treatment and product services for my skin. As always, all opinions are my own. Thank YOU for supporting the brands that make this blog possible!